Timed to celebrate both Hungary taking over the EU presidency and the start of the officially sanctioned celebrations of the Liszt anniversary, there was certainly a sense of occasion at this concert by the Budapest Festival Orchestra. It's easy to be jaded about those two events: the current political situation in Hungary has been the subject of criticism in some corners of the press; and, post 'Genius of Mozart', we're possibly more suspicious of composer celebrations than ever. 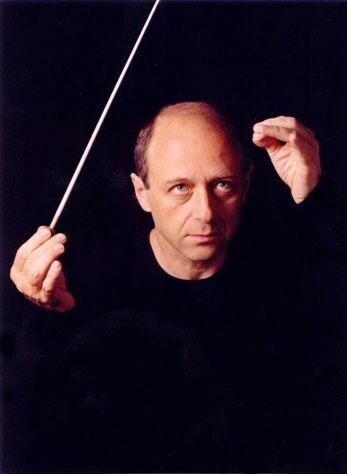 Luckily, the orchestra, under the exuberant leadership of Iván Fischer, provided just the tonic for mid-January cynicism: this was playing that exuded a sense of fun and enjoyment too often missing in the concert hall. The orchestra itself has all the glossy corporate sheen one could want, but in the opening Haydn – the marvellous 'Oxford' Symphony No.92 – there was character and individuality in abundance. Always alert to the composer's quicksilver changes of mood, Fischer elicited playing both grand and intimate from his players. A healthy complement of strings, with violins placed antiphonally, produced a sound rich and athletic, while the wind players – particularly the outstanding principal oboe and flute in their exposed passages – were a constant source of delight. What soon became clear, too, is that this is an orchestra that does rustic like few others. The horn players had some help from their valveless instruments in this regard, their smooth contributions to the menuet contrasted with parping in the finale. Haydn's droning effects, meanwhile, were joyously sawed out by the strings, providing a vivid contrast to the sophistication on show elsewhere. In a nice touch of cultural diplomacy, it was British pianist Stephen Hough who was charged with channelling the spirit of Liszt in the performance of the E-flat concerto that followed. It doesn't do any harm that he's long been one of the composer's most persuasive interpreters, and with the Hungarians supporting to the hilt, this was just the sort of gloriously unapologetic performance this work needs: this is Liszt, it seemed to say, like it or lump it. That's not to say there wasn't subtlety, however, for Hough brought irresistible old-world charm to the lyrical moments and deft virtuosity to the piano's more quixotic outbursts. The whole performance was characterised by an itching desire to reignite at every opportunity, with Fischer bringing out a wealth of detail in an orchestral accompaniment often relegated to secondary importance. Some of Hough's double octaves seemed strangely brittle, accuracy and synchronicity occasionally fell foul of some hair-raising tempos, and there was a hint, in the final pages, of speed for speed's sake; but we'll be lucky if even a fraction of performances in the Liszt year have this sense of urgency and fire. Tempos were broad but flowing, and the first movement was taken as a gentle, genial stroll, a wealth of instrumental detail pointed out on the way. The Andante brought some disarming pianissimos as well as some irresistible chirruping from the second violins on their trills – something usually passed by as incidental. The big moment of the woodwind birdcalls, presumably one of the main reasons behind Fischer's novel configuration, however, seemed a little weighed down with too much desire to imitate rather than evoke. The peasants were predictably and lustily full of life in their dance; the storm was vividly performed, the piccolo making itself heard from its vantage point behind the brass. There was warmth in a touching account of the finale, although Fischer didn't quite, to my ears, nail its life-affirming peroration. A couple of encores showed conductor and orchestra relax further, performing a Brahms Hungarian Dance with panache and tra-la-la-ing their way through Johann Strauss's Peasant Polka with the same joie de vivre that had characterised the whole concert.